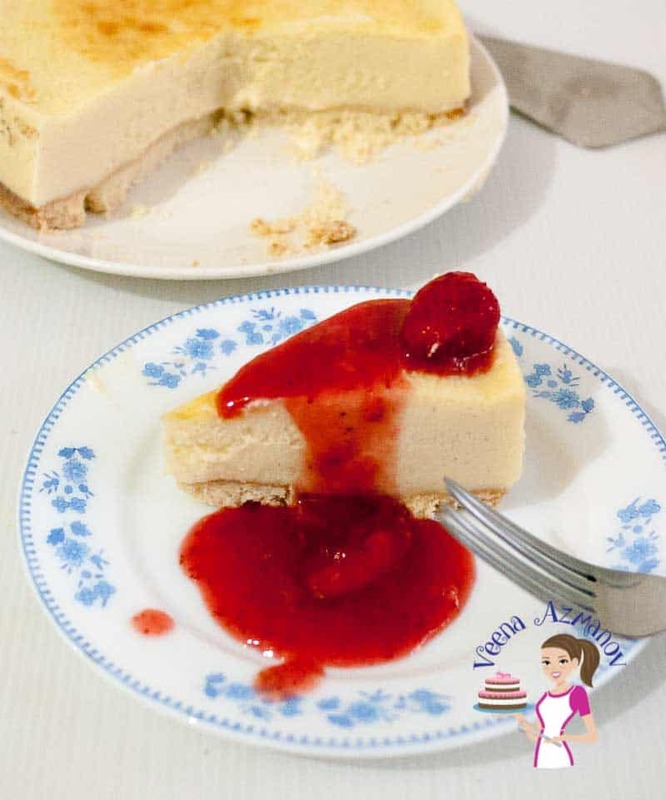 This is the best baked classic strawberry cheesecake. 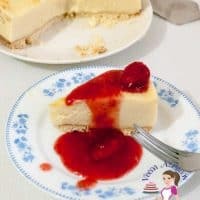 This simple, easy and effortless recipe has creamy mascarpone based batter baked to perfection then topped with a luscious and decadent strawberry compote that will just melt in the mouth. A great summer treats with fresh strawberries or comfort dessert with frozen strawberries any time of the year. Heat strawberries with its juices, water, cornstarch and sugar over low heat until the sugar have melted and the cornstarch has thickened the mixture. Alternatively, serve it alongside the cheesecake as I have done here.